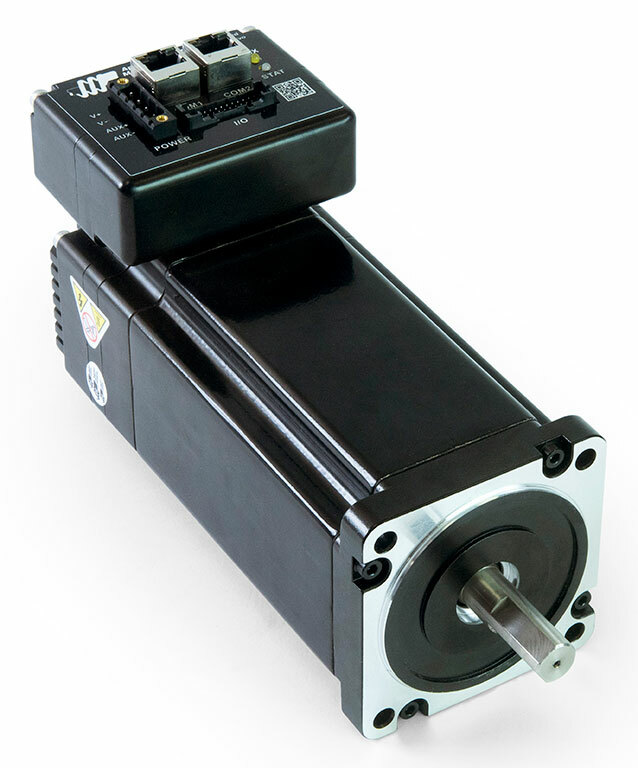 The TSM34Q-6DG StepSERVO integrated motor is a drive+motor unit, fusing a NEMA 34 step motor and a servo drive into a single device. Power to the drive, located at the rear of the motor, must be supplied by an external DC supply. See Related and Recommended Products below for compatible 48 volt DC power supplies. 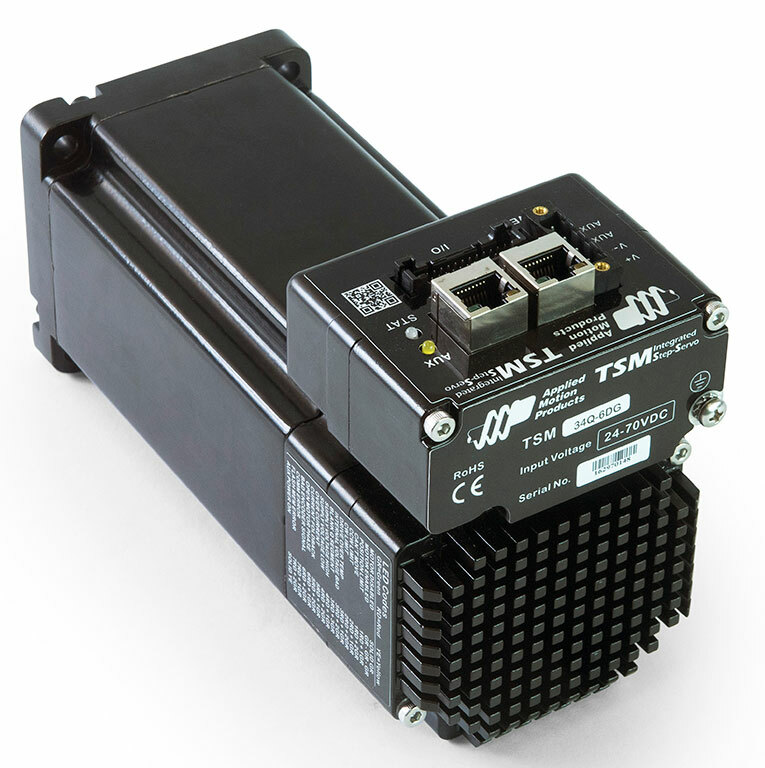 The TSM34Q-6DG StepSERVO integrated motor incorporates Ethernet and Modbus TCP network communications, the widely used industrial protocol for manufacturing automation applications. The motor can be operated in several different control modes, including streaming command mode using SCL commands or Modbus RTU, pulse & direction mode, velocity mode, and stored program mode which offers the ability to run a Q program stored in non-volatile memory. Q programs are created using Applied Motion’s Q Programmer™ software, which provides powerful commands for motion, I/O, conditional processing, multi-tasking, math functions, and more. All TSM34 integrated motors are set up, configured and tuned using Applied Motion’s Step-Servo Quick Tuner software with built in Q Programmer. 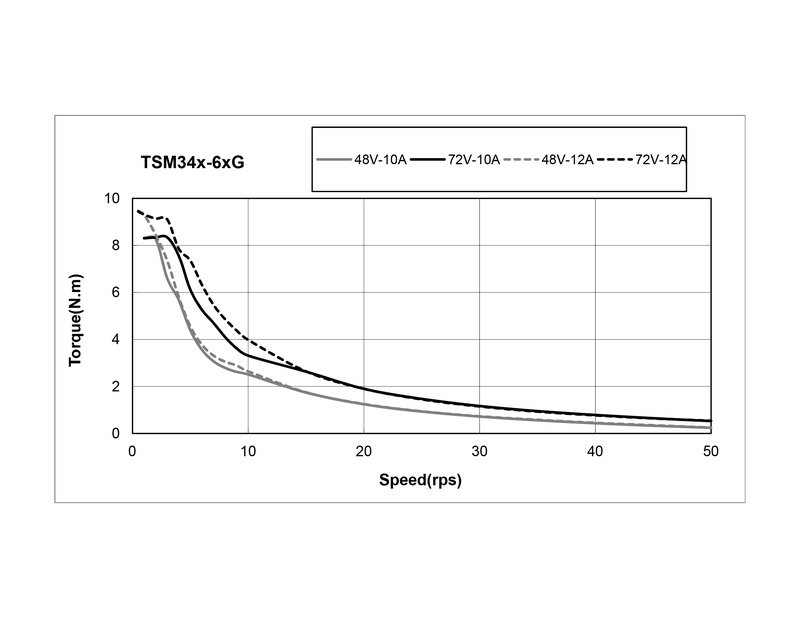 Each TSM34 integrated motor comes with 8 digital inputs, 4 digital outputs, and 1 analog input. The digital inputs accept signals of 5-24 VDC and can be used for connecting pulse & direction signals, end-of-travel limit switches, jog switches, quadrature encoder signals, PLC outputs, sensors, or many other signal types. The digital output can be connected to PLC inputs, counters, lights, relays, or other devices. The analog input accepts 0-5 VDC signals and can be used for velocity and position control. The TSM34Q-6DG comes with two fast 10/100 Mbit Ethernet ports for programming and communications. The ports support TCP and UDP protocols for sending commands from Applied Motion’s proprietary serial command language (SCL). An integral 5000-line (20,000 count/rev) incremental encoder is housed inside the same enclosure as the drive electronics and used for closed-loop servo control to attain highly accurate position and velocity control. Encoder counts can be accessed over the network or from within the Q program using data registers.